And Wawa too! Love it. There's a Wawa convenience store and gas station just outside our community. I love that we can by milk (or half-and-half) there 24 hours a day. That can come in quite handy with small children. And an ATM with no surcharge! They must make a killing -- the store is always busy. Oh, yes--I forgot to mention that. That's why I stopped at Wawa to refuel my wallet. The ATMs in all their stores are surcharge free. We've got an Amish market in Annapolis too. Something I've wondered about their meats and produce but have never asked -- do they use sustainable agriculture methods or otherwise strive for organic products? I haven't seen USDA Organic labels on their goods, but it seems like the whole slow-food thing would fit in well with some of their religious practices. And not all Lancaster County farmers and dairyfolk are Amish. I don't know what Earl Livengood's background is, but his farm is located there, IIRC. 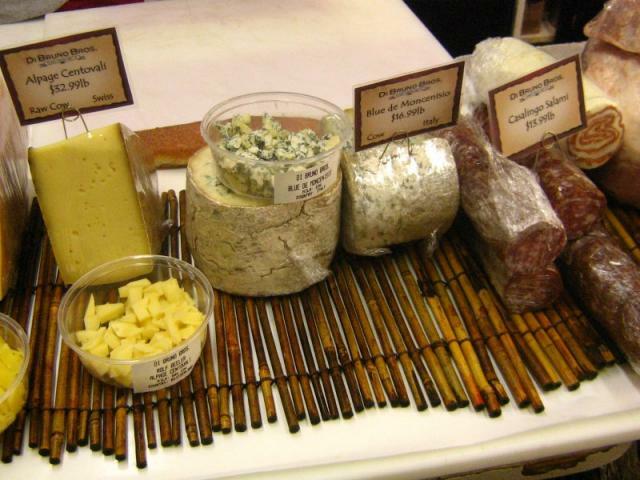 And so is Green Valley Dairy, whose cheese is made from USDA certified organic raw milk. But you're right about the potential overlap between Amish practices and Slow Food philosophy. I also like the cross-culture appeal of H-Mart. Our Shoppers Food Warehouse approaches this crossroads feeling, though I don't think it's a stated objective anywhere. 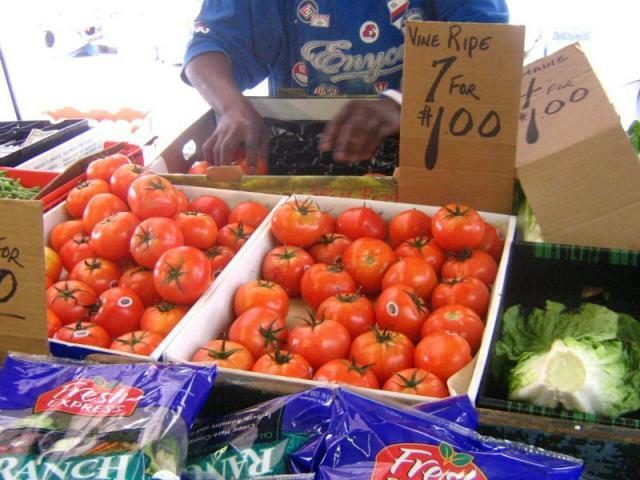 They've got a nice produce department with LOTS of items for the largely Latino clientele. I like when I see people from different cultures there interacting about the food, like the elderly black man who held up a yucca and asked a group of young Latino men, "What do you do with this? How do you cook it?" Of course, there's also the less enlightened end of the spectrum, like the women in line behind me the other day. Their cart was loaded up with sugary character cereals and large packs of ramen noodles. One of them said "They've got all kind of freaky food here. Like that," pointing to a butternut squash in my cart. Good thing she hadn't seen the celeriac and jicama. I assume you've read my next illustrated post by now. BTW, notice anything interesting about that supermarket? How few white faces were in it, perhaps? Some people I am aware of make it a point to come out to the Freshgrocer from Center City, because it is clearly superior in cleanliness and variety to the major supermarkets in Wash West and Society Hill, but their numbers are small indeed. Before moving on to today's activities, I'd like to share with you a couple more of the good things about living in the heart of Philadelphia. One of them is its intimacy. I often say to visitors that Philadelphia isn't a big city--rather, it's 150 small towns thrown together. This is a city of neighborhoods par excellence, where traveling one block could take you into a vastly different world from the block you left. It also means that within those neighborhoods, people know and look out for one another. The physical neighborhood I live in--Washington Square West--and the cultural/physical one known as "the gayborhood" both have this quality. It has its downside--Philadelphians can be awfully provincial--but its upsides outweigh that. This is a very comfortable place to live, and that's a quality that I don't think enough people appreciate. 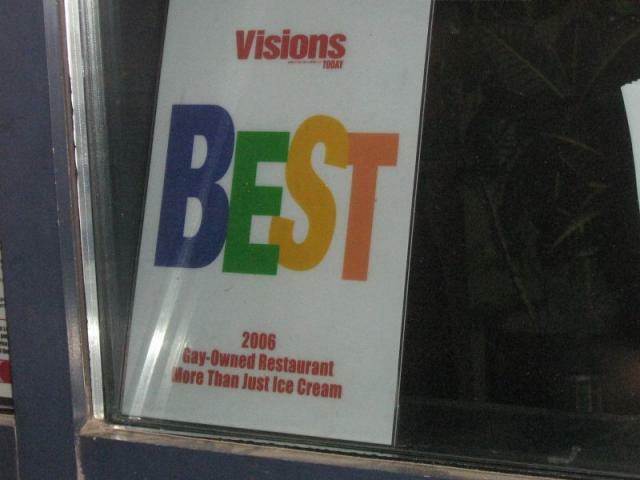 The other is the sheer variety of good places to eat. You may have noticed from this week that I don't eat out a lot, but on those occasions when I do, there's a restaurant for almost any mood I might be in. I thought you might like to see a few of them. The Village Coffee House started life as the Mean Bean Café and changed hands about nine months ago. 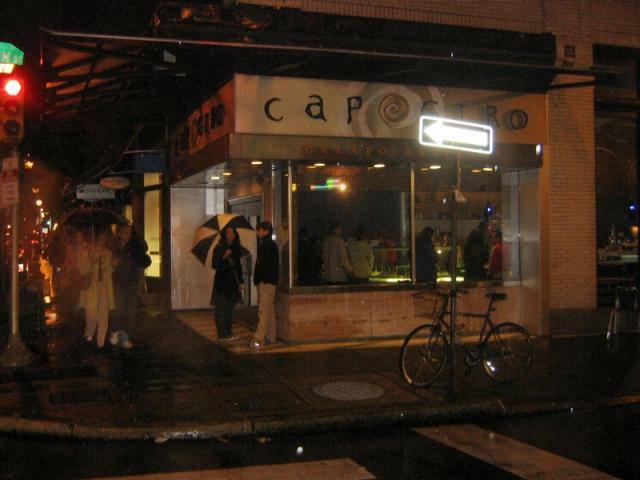 Especially since Millennium closed, it's become a popular hangout for gay locals. The outdoor seating area abuts a community garden, which makes it a pleasant place to sit. 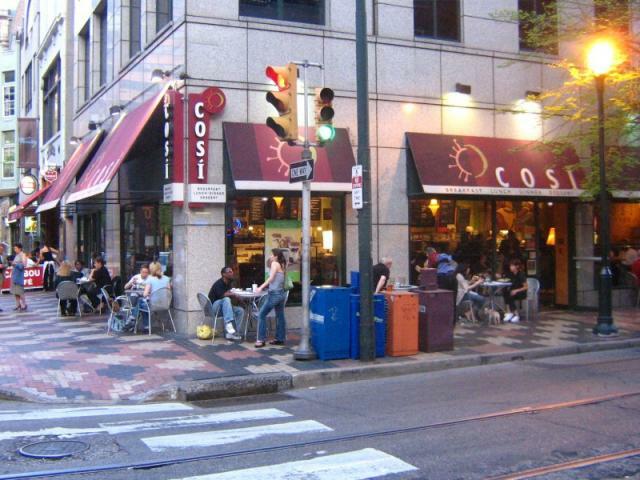 The Così at 12th and Walnut is an even more popular hangout for a broad cross-section of the neighborhood, and it's very rare for an entire day to pass without me encountering a friend, acquaintance or neighbor hanging out here at either a window seat or one of the outdoor tables. A third coffee house, joe, on Walnut between 11th and the Forrest Theatre, serves only Fair Trade-certified coffee. I've heard that a Starbucks is slated to join the fray across Walnut from the Pac a Deli. Besides joe and the Forrest Theatre, the 1100 block of Walnut sports a wide variety of eateries from cheap to fancy. On the north side, from east to west, are a Wendy's; the Top Tomato Pizza Kitchen; a Subway; Pompeii, a high-end contemporary Italian restaurant; New Heaven, a Chinese restaurant that added a sushi bar within the past few months; and the Irish Pub, which I already described. On the south side, along with joe, are, from east to west, Moriarty's, a casual pub that is home of the best Buffalo wings in the city; the Caribou Cafe; and Così. 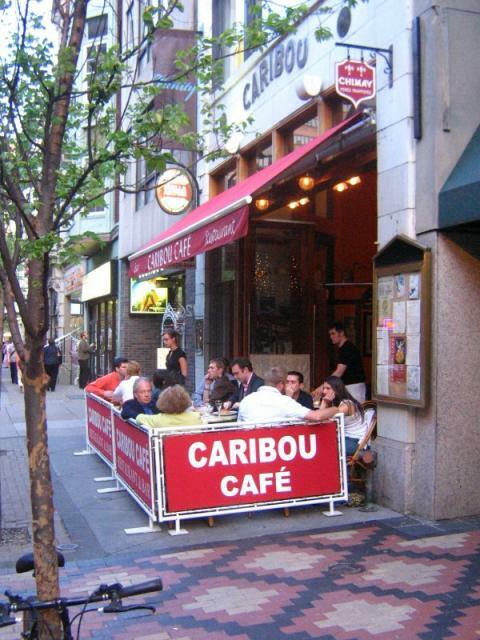 The Caribou Cafe is perhaps the best French bistro in the city, and it's a great place to people-watch. I've eaten there several times, mainly for lunch, but also an occasional dinner. On the street floor of my building are two restaurants--one a newcomer, one a neighborhood institution. The space it occupies once housed Pamplona, a wildly popular tapas place that rested on its laurels a bit too long. 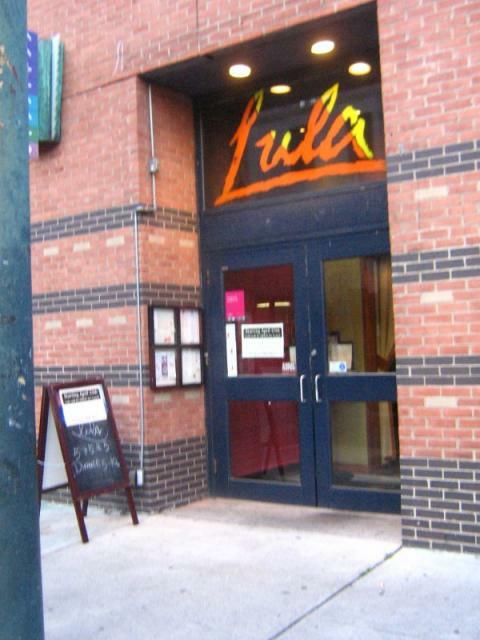 The initial menu at Lula was quite similar in concept, if not in actual dishes, to that of Pamplona, but it was completely chucked a couple of months ago in favor of a much simpler menu that nonetheless is still heavy on the Mediterranean influence. The place has a great wine list, and they show "Desperate Housewives" at the bar on Sunday nights, followed by camp classic films. 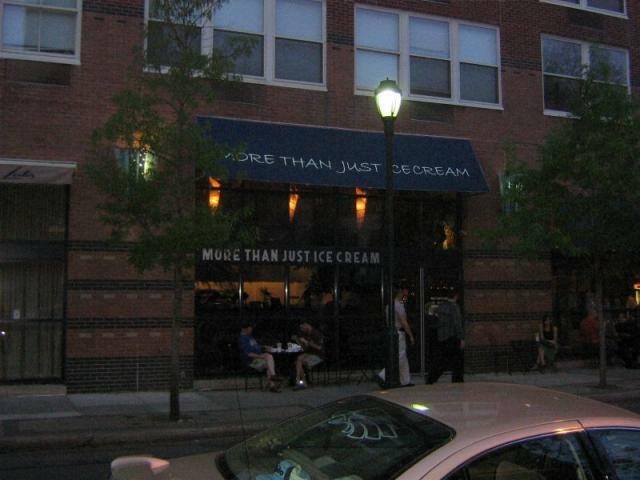 The neighborhood institution is More Than Just Ice Cream. I'm also just a couple of blocks away from the totally transformed 100 block of South 13th Street, developer Tony Goldman's effort to do for Center City what he did for South Beach in Miami. 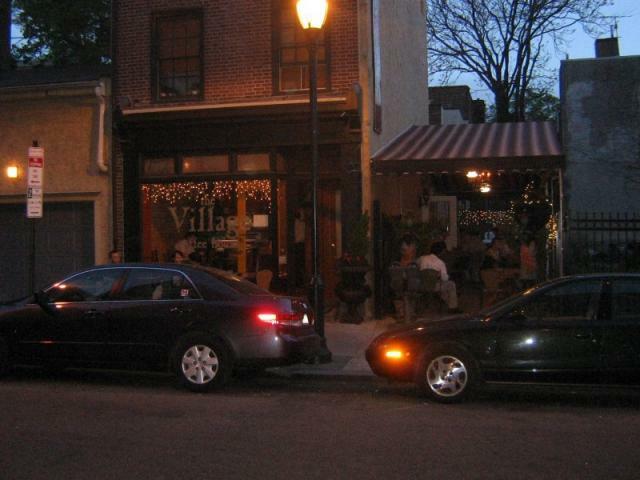 Lots of interesting restaurants have opened in or around this block within the past few years. 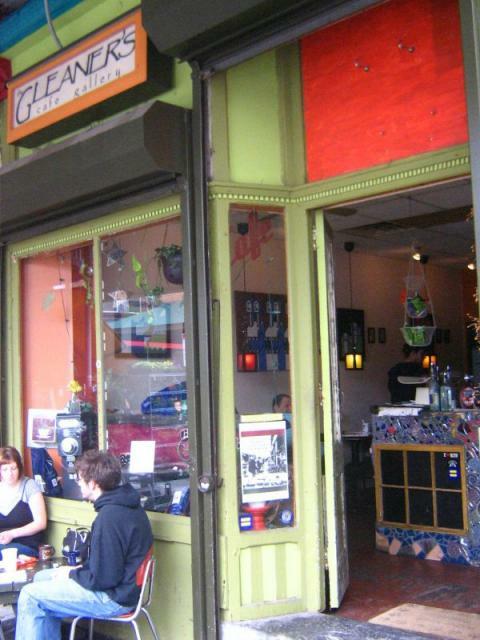 This is El Vez, one of Stephen Starr's 14 restaurants in the city. Starr--a former Electric Factory Concerts promoter--has a knack for putting the theater into fine dining with stagey interiors and "high-concept" themes. This place--named for a popular Mexican singer who impersonates Elvis Presley and who performed for the restaurant's opening--is what I call "high-kitsch" Mexican (this judgement based solely on the décor, as the only thing I've had there is drinks). It's also packed almost every night of the week. This is its brand-new next-door neighbor, Vintage, a wine bar and restaurant with a menu that I can't pin down with a single phrase. Its design shouts "Wine!" from the wine case panels on the walls to the chandelier fashioned from empty wine bottles in the center of the ceiling. 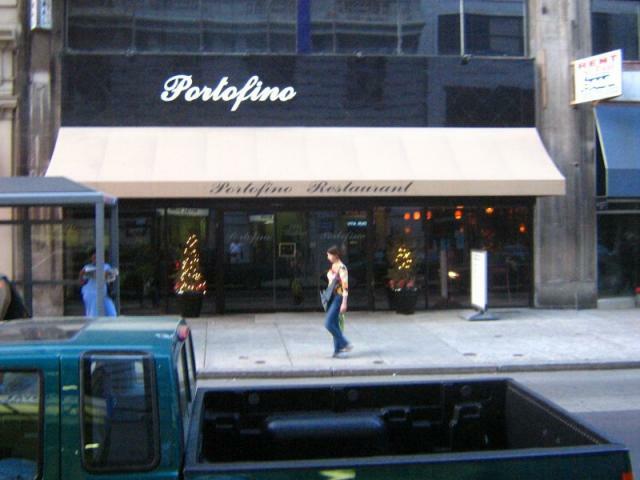 Around the corner on Walnut is Portofino, an old-school fancy Italian restaurant that has been quietly turning out wonderful food for 35 years. It used to have a much more modest--and early-'60s-chintzy--facade when it occupied only the right half of the space you see here; when it expanded into the space next door, it also gave itself a major facelift. Again, should your travels ever bring you to Philly, You. Must. Stop. In. Here. For. The. Best. Frozen. Dessert. You. Will. Ever. Eat. I've only scratched the surface of dining in my little corner of Wash West. 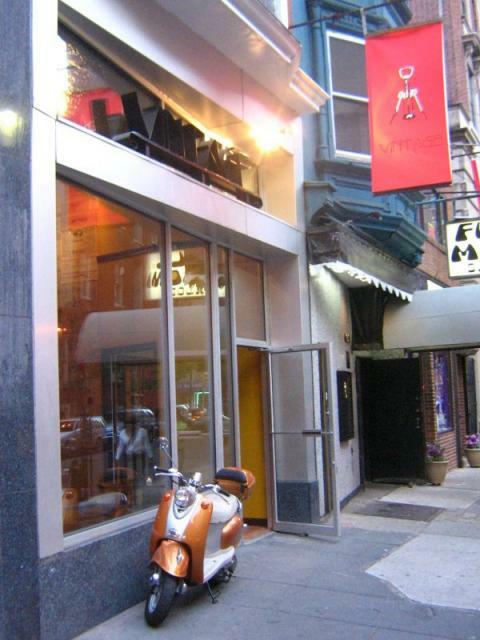 For instance, I've passed over Bump, the "gay luxe lounge" with a New York feel and a surprisingly good menu, and Aoi, home of the all-you-can-eat sushi special. Suffice it to say that we don't lack for fine dining choices in this little corner of the city. What an amazing survey of your neighborhood! Where are you finding all the time to take and upload all those photos? From time I should probably be spending on my résumé clients! But I've been in touch with them and neither one of the ones I'm working on now wants them right away, so I have some time to play. Coming up: Sunday's events and the Trivia Contest wrap-up. I hope Chris will be so kind as to keep this thread open into Monday for exchange of farewells. Sandy, your new job should be in the Chamber of Commerce or somewhere in municipal government. Those folks have to see this. And I know I definitely will take the train up to see what you've just shown us. As this blog lurches towards its end, I'm going to bring you up to speed on what happened today, then offer a few final thoughts. I hope that Chris will be so good as to keep this open into midday on Monday so that we can exchange farewells. First, this morning, and a trip to the Italian Market. But before that, it's time to post the answers to the two final Trivia Questions and declare a winner. He traces the etymology to the word "panhaskreppel"--a stew of leftovers mixed with meal and cooked into a loaf. I'm going to declare either True or False as the correct answer and let the experts sort things out. However, no one got it right. 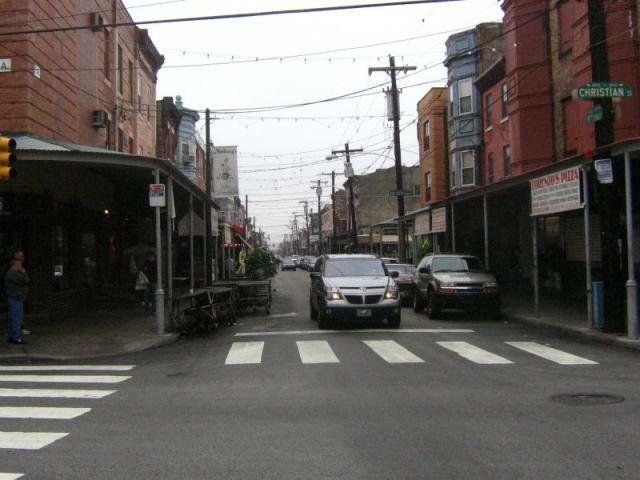 These wide streets were "market streets"--that is to say, there were public market sheds in their centers. 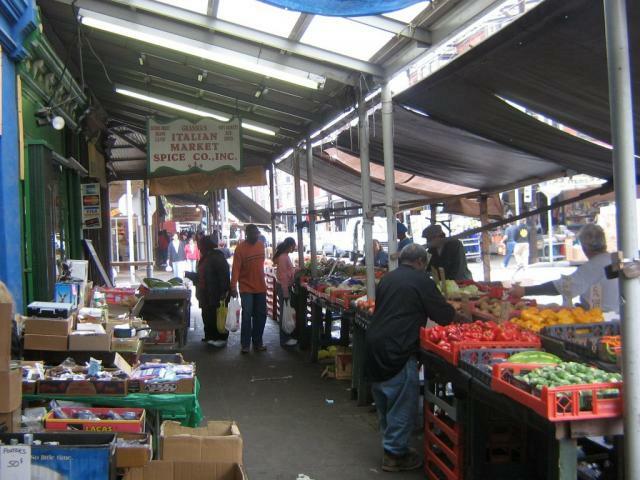 One such market shed survives to this day: the market building at what we now refer to as Head House Square after the market head house at the shed's northern end. Head House Square is on 2nd Street between Pine and Lombard, and the wide street continues one block further to South. 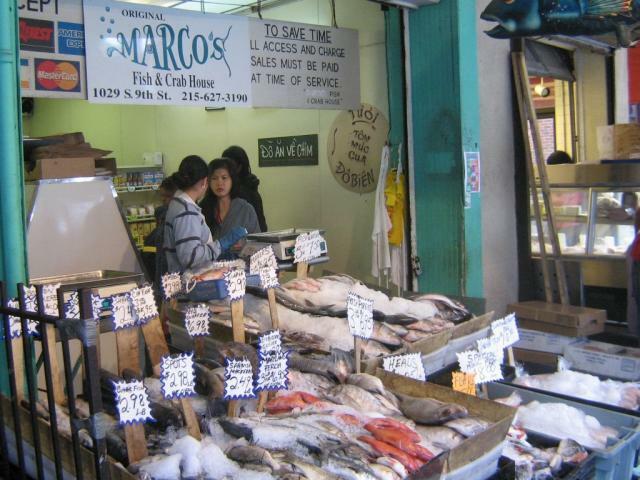 The food merchants in the market stalls on 11th relocated two blocks to the east, which sets us up for the first trip of the day--but first, we have a three-way tie for first place among the three people who submitted responses to today's Trivia Questions, Nina C., mizducky and ghostrider. So, as promised, I'm throwing the three names into a hat and drawing one out. If you could PM me with your mailing address, I will see to it that it gets to the Pennsylvania General Store so they can send you your gift basket. 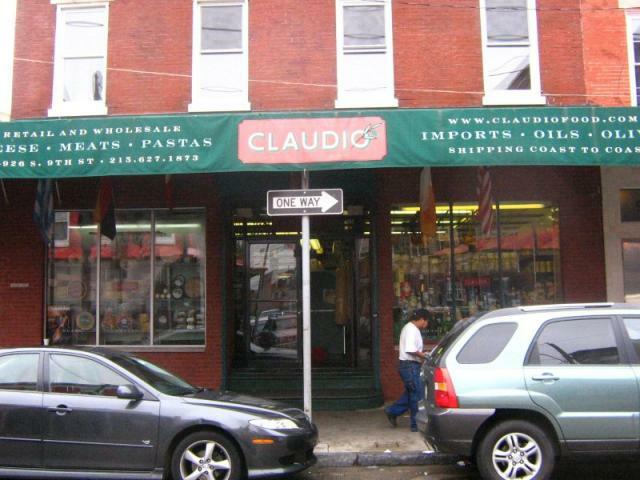 Now, on to the place where the 11th Street market relocated. It's not the same as running up the Art Museum steps, but strolling through the Italian Market is every bit as much a "Rocky" experience. 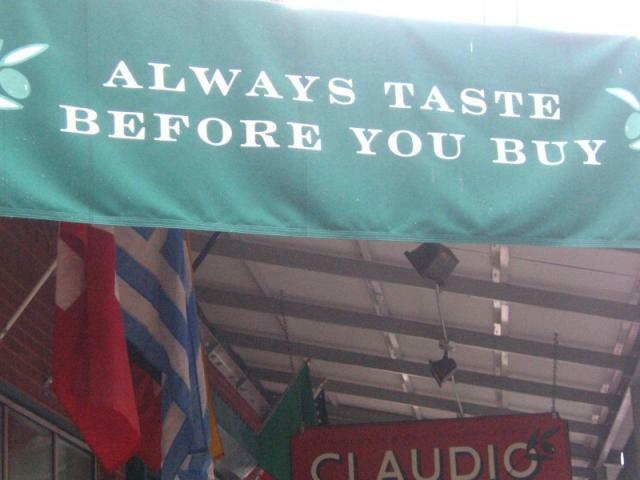 and classier coffee houses and restaurants. 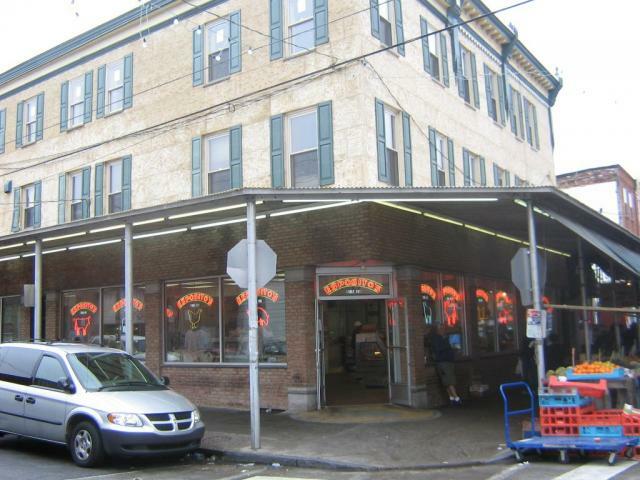 which added a prepared-foods store two doors up back in the late 1990s. 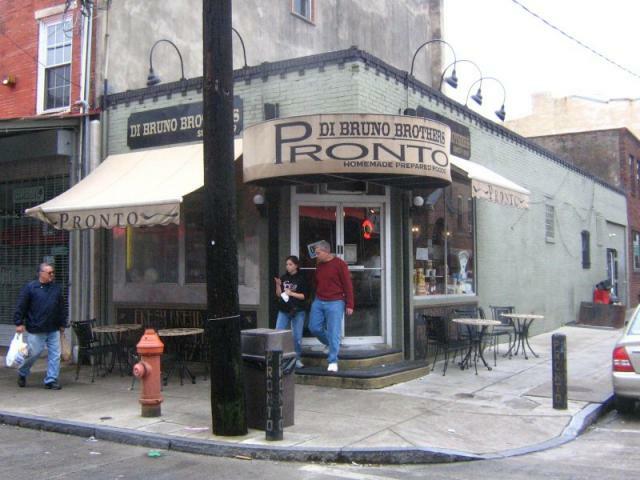 so it's nice to see that DiBruno's has adopted it too. 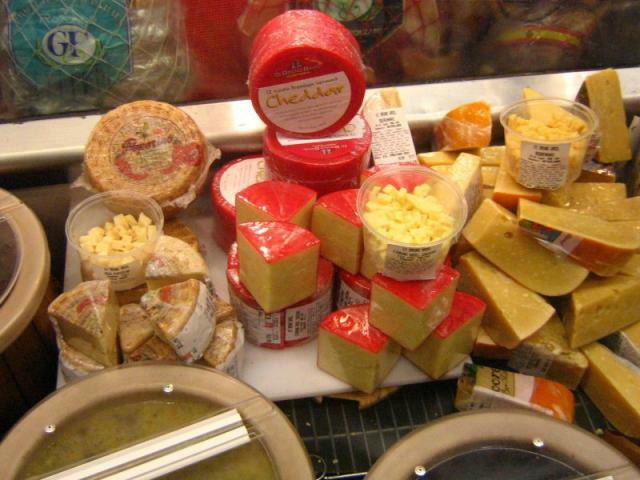 And, of course, they've completely upgraded their cheese offerings. But the store remains the same wonderfully cramped space it's always been. Esposito's suffered a fire that gutted the store two years ago, but they rebuilt and have recovered completely. 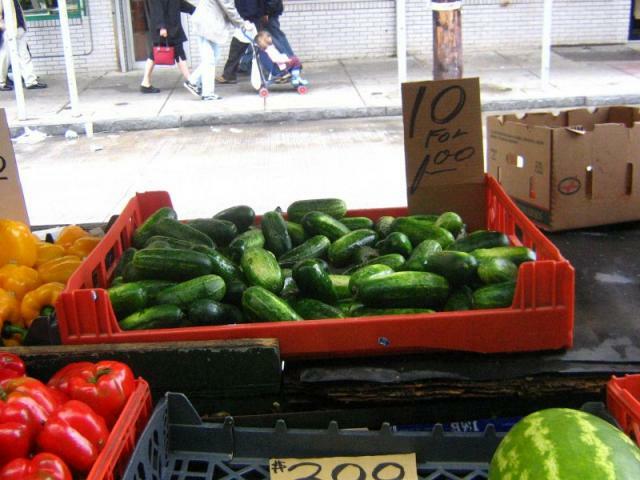 and some Kirby cucumbers. When I told the vendor I didn't need ten--one would be more like it--he said, "So get five for 50 cents." I really can't quibble over that if they keep long enough. 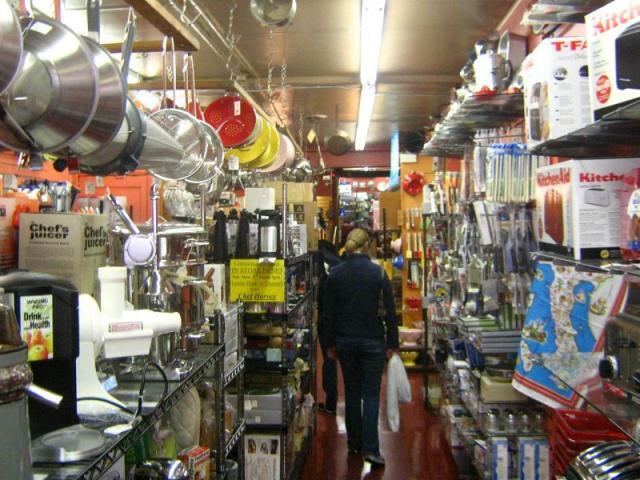 I also stopped into Fante's, the kitchenware emporium. Again, this is one of those places where, if you can't find it here, they probably don't make it any more. 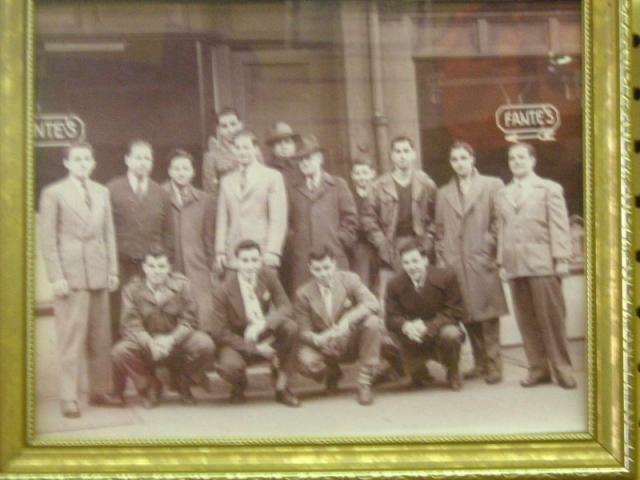 The store is celebrating its centennial this year. The cookbook, she explained, was intended to be a small project to raise some startup money that would enable her to write her Mob history. 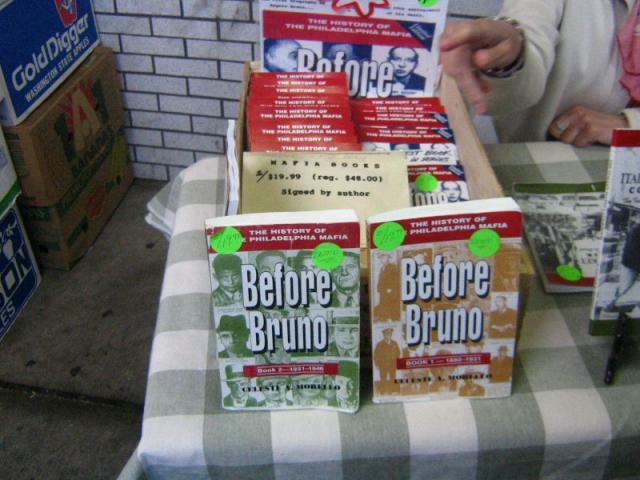 She had printed only 1,000 copies for sale to friends, neighbors and market visitors. 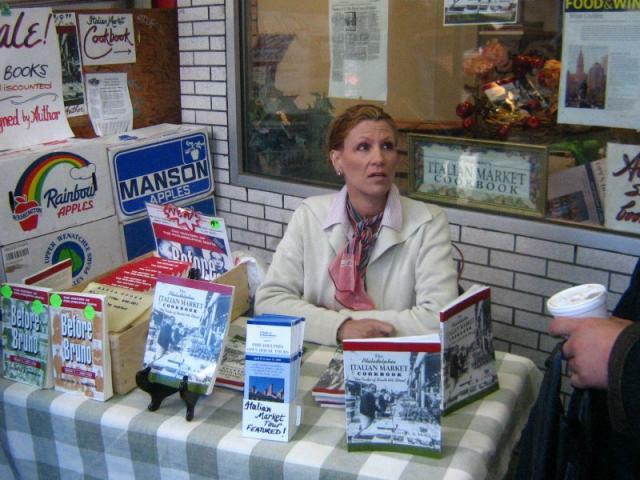 "When the book came out, all the big shots in the local crime family--Anastasio, Scarfo, all of them--were in Atlanta, doing time in the Federal pen," she said. "They found out about the cookbook before word got out on the street. 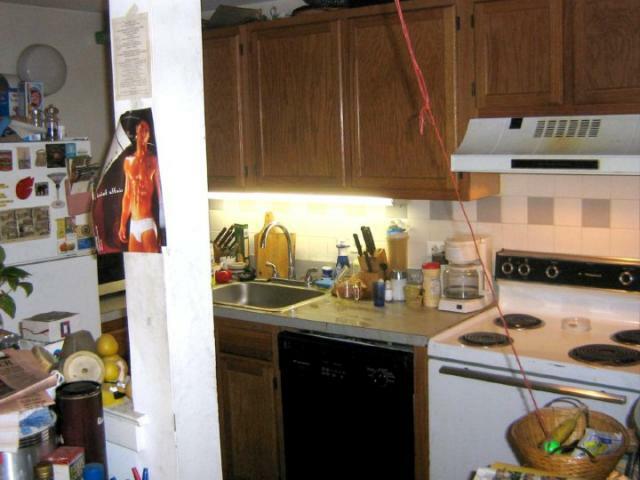 I got a call from one of them asking, 'Could you send me a copy of the book, 'cause we got Eddie here in the kitchen, and he ain't making anything good.'" She sold out the entire 1,000-copy press run in four days. 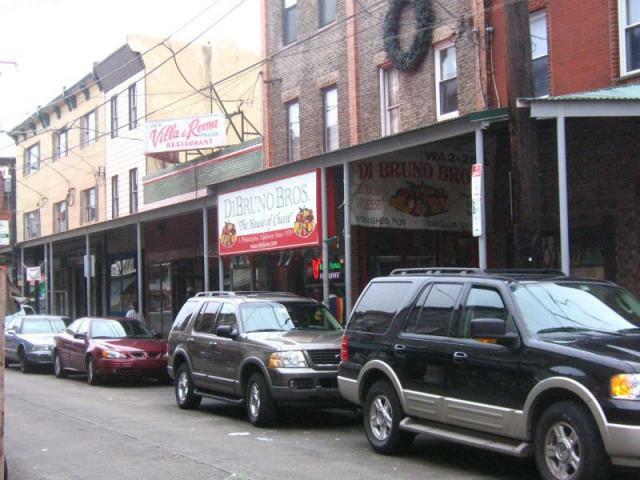 According to her, today, nine years later, The Philadelphia Italian Market Cookbook has never gone out of print and is the best-selling Philadelphia regional cookbook. You can get new copies online at Barnes & Noble; sorry, but Amazon.com only stocks secondhand copies. Next up: I punt Sunday afternoon over to the Pennsylvania board. "Philadelphia isn't as bad as Philadelphians say it is." It sounds like you're no longer kicking and screaming to go back to Kansas City, right Sandy? Right??!! As a fellow transportation fan, I hope SEPTA can get its act together. 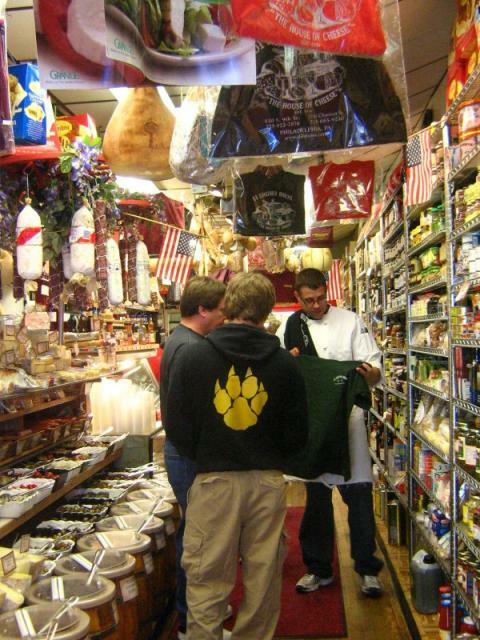 Thanks for showing us Philly, especially all those markets and stores. 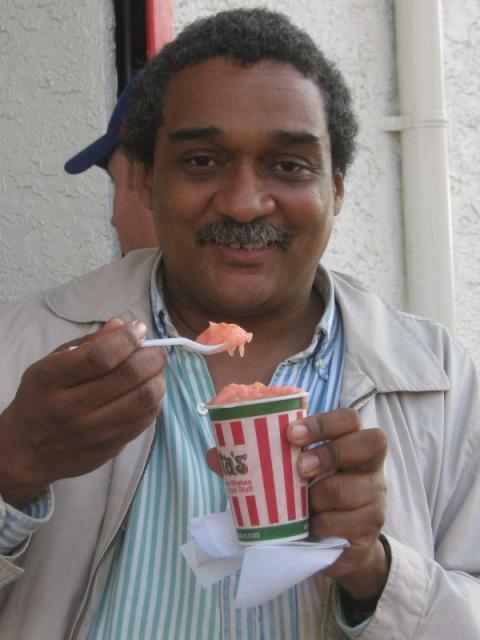 Will you please have a frozen custard at Rita's for me? Pretty, please. I'm eating a passion fruit water ice, which was fantastic! This capped off the first stop on the Pizza Club's 2006 "Best of Philly Review Tour," an epic project that will ultimately have us visiting all of the 40-odd places that have won a "Best of Philly" in the pizza category from Philadelphia magazine in its 33 years of existence and are still in business. 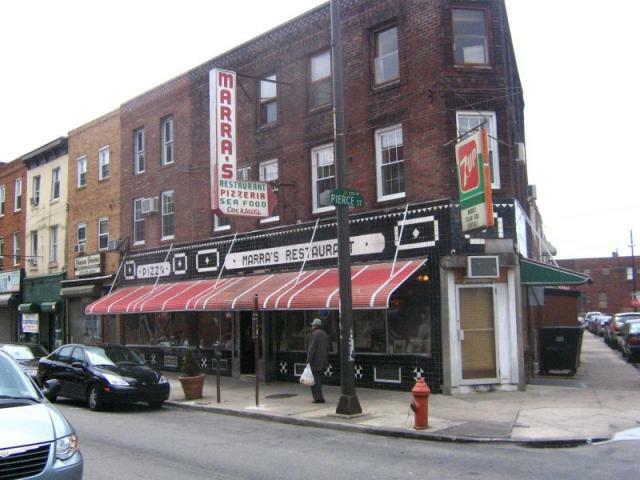 We started the adventure in South Philly, at Marra's on East Passyunk Avenue (which, despite its name, runs more or less north-south; the 'East' here refers to its being east of Broad Street at this point; just before Broad, it turns into a street running more or less east-west and becomes just "Passyunk Avenue" from Broad west). We were supposed to hit three places today, but the five of us who made it decided after the second--La Rosa, at Broad and Snyder--that we were too stuffed to go for all three, so Celebre's at 15th and Packer Avenue will have to await the next club outing. I'd love to give you all the details of the trek now, but it's 1:30 a.m. here in Philadelphia and I must get up in the morning to go to work, cleaning up the kitchen (at least there's no Easter dinner this time) and getting myself ready once again to catch the 7:47 R3 to Swarthmore. There are some things that I'm sorry I didn't get around to doing, ordering a really big, loaded Italian hoagie being one of them. I also never made it up to the ninth floor of the Wanamaker Building to see whether I could see the Crystal Tea Room, so Ladies Who Lunch, wherever you are, I owe you one. Maybe the next time I blog, I can get these in. And God willing, there will be a next time. I've thoroughly enjoyed taking you through a broad swath of Philadelphia and its suburbs, checking out places to eat, introducing you to some of our food culture and history, and showing off some of the other things that make life interesting for me here in the City of Brotherly Love. I've grown to love this place and all its joys and frustrations, and I hope that some of that love has rubbed off on you. 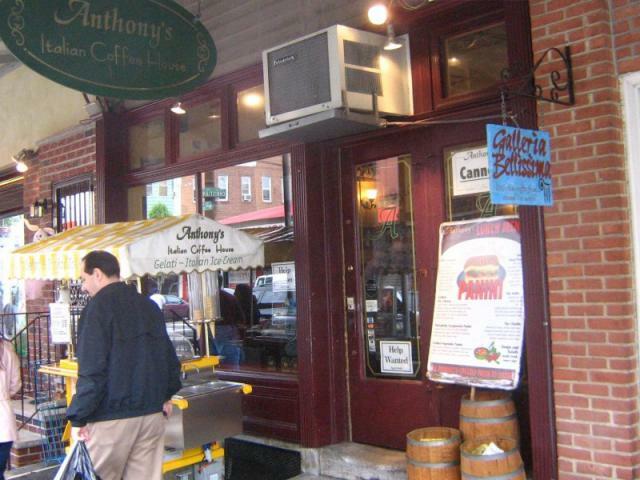 Sometime tomorrow--make that later today--you will be able to see all the exploits of the Pizza Club's Best of Philly Review Tour kickoff in a post on the Pennsylvania board. In the meantime, good night to all of you, and thank you for letting me share a week in my life and kitchen with you. It's well-equipped, and has enough room for me to do just about anything I want. Now I'm done. Take care, and be well. My uncle once said that the day I left for Harvard, he knew I would never return to Kansas City to live. He was right, and for all I enjoyed growing up there, I'd definitely never return now. However, I do plan to visit next month for my 30th Pem-Day class reunion at Pembroke Hill. Glad you enjoyed it, and I too hope SEPTA cleans up its act. Wow, Millenium closed? I really have been away for far too long. Will be back in August to visit the 'rents though, maybe a Jamaican Jerk Hut meetup is in order. It's been fun to looking at the photos but it really is making me feel homesick. ahem. I think you mean wooder ice. Wow again. Now I'm having wicked pisser nostalgia flashbacks to Haymarket and the North End as they looked in the 1980s when last I lived in Boston. 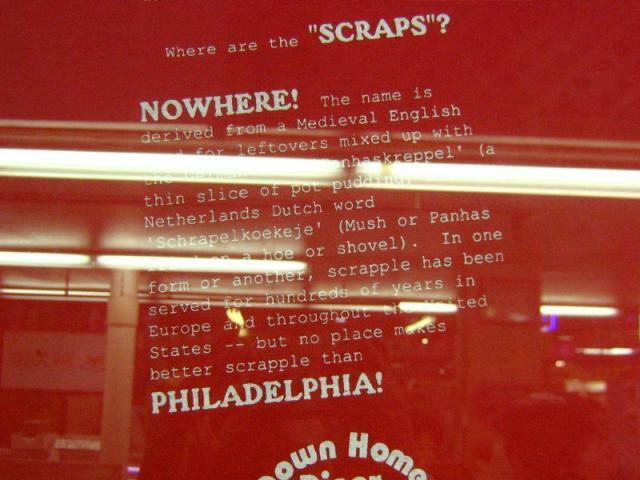 I have an odd confession to make--somehow I have never wound up visiting Philadelpia, ever. Even my parents somehow missed it in all our trips elsewhere in Pennsylvania. (I'm sure my brother, who spent a miserable four years attending Carnegie Mellon, would have agreed with the classic W.C. Fields line that he would rather have been in Philadelphia. ) Anyway, now I have some inkling of what I have missed. Hopefully I'll get to do something about that one of these days. Bravo, sir. A most excellent, thorough, and entertaining blog. Thank you so much for everything this week. 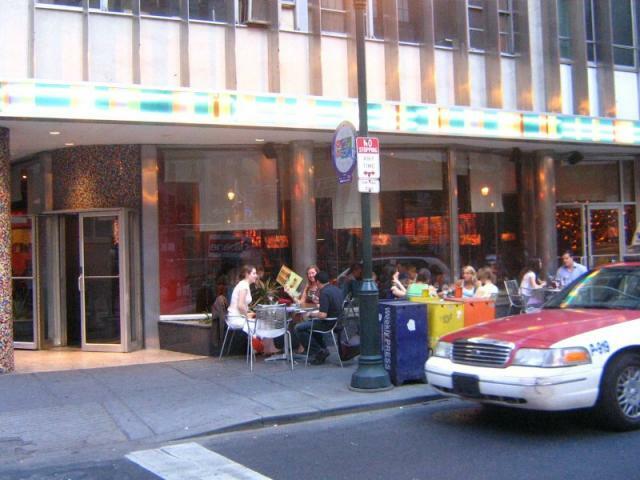 We adore Philadelphia, but we've mostly stayed near the Friends School area (pho! a huge Asian market!) and the RTM 'til now. You're not far from us, so we hope to visit more of the city soon. We've added so many things to our list of must eats from this blog that we feel full already. Also, kiddle wants me to let you know that she is taking the trains into Philly this weekend, the first trip that Mommy doesn't chauffeur. Your photos and descriptions are WITHOUT PEER. Too bad we all don't get to hear that karaoke, though! SANDY, THANKS- you're the best virtual guide on the internet! Thanks Sandy. As a regular visitor to Philadelphia, this was a great mix of things I'm familiar with and things I'm not. One of my few regrets in life is that I've never lived in a big city and had the opportunity to really get to know it. "We've got an Amish market in Annapolis too. Something I've wondered about their meats and produce but have never asked -- do they use sustainable agriculture methods or otherwise strive for organic products? I haven't seen USDA Organic labels on their goods, but it seems like the whole slow-food thing would fit in well with some of their religious practices." I shop the Annapolis Amish market also. I know from observing the delivery trucks outside that their produce mostly comes from the same distributors that sell to the conventional grocery stores. 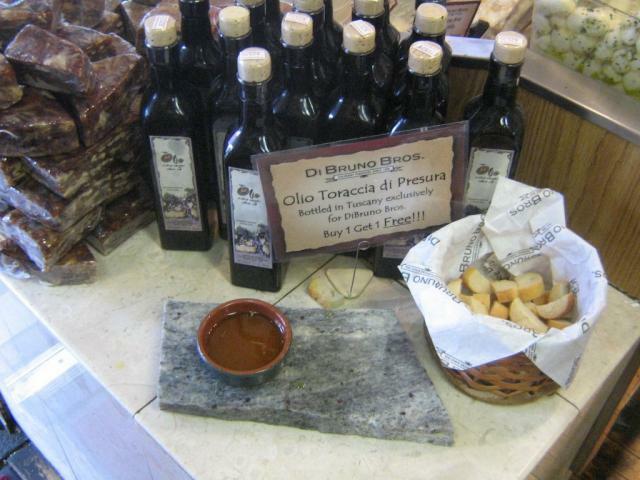 Perhaps there's some local stuff in season, but mostly it's the same stuff as elsewhere displayed differently. 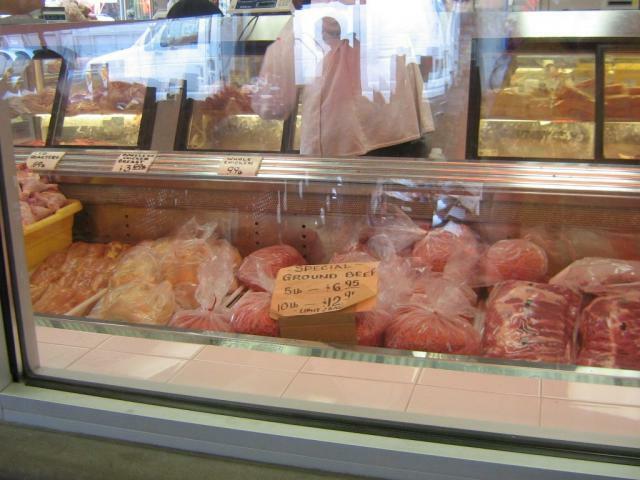 I've also found the meat to be just OK except for some nice sausage and bacon products. 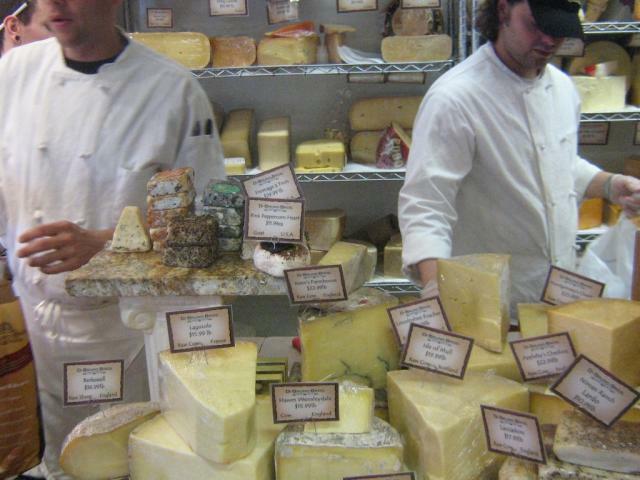 However, I really like their homemade butter, Pa Dutch egg noodles, and some farm cheeses (first stall on the left as you enter) and they also sell those decadent soft pretzels. Also an incredible selection of dry goods, I like their dry hominy much better than canned. As Americans, we've never really been comfortable with big cities or large-scale enterprises of any kind, public or private. I carry on occasional exchanges with a Californian of libertarian bent who shares my interests in transportation and urban policy that we both describe as "Jefferson vs. Hamilton," with me being the more Hamiltonian sparring partner. The trouble--if you can indeed call it that--with American culture is that it continues to revere Jeffersonian ideals in a Hamiltonian universe, and the two don't fit together all that well. I think we'd be a lot better off if we made peace with the fact that we are an urban nation (and, by corollary, with the fact that our suburbs are more city than country), and adjusted ourselves to living with crowding. You can carve out private space even in a dense city--and living in public at least means that should something happen to you, somebody's gonna notice and maybe even ask if they can help. 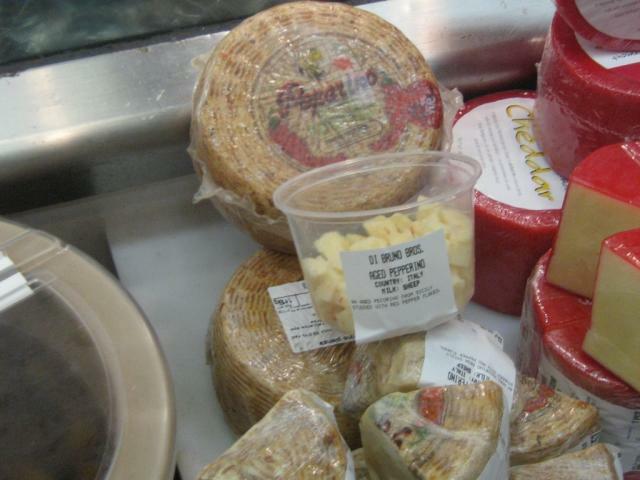 I am certain that the cheeses sold at the Esh Egg Farms stand are not produced by them, and that the Amish meat and poultry purveyors obtain some--or even most--of what they sell from commerical sources that also supply other customers. 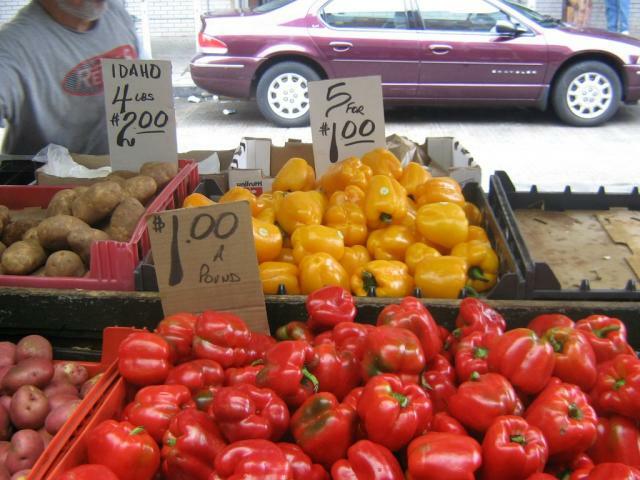 But the Amish in the RTM who sell produce sell things that either they or their neighbors grow. That makes them somewhat distinctive and valuable. I also need to correct a historical note I made in an early post. The Institute for Colored Youth--whose original location in the 900 block of Bainbridge Street is marked with a state historical marker--evolved into what is now Cheyney University (formerly Cheyney State College), part of the State System of Higher Education. Cheyney is also in Chester County. Lincoln University of Pennsylvania (there is also one in Missouri--another thing the two states have in common; both are HBCUs, although Missouri's Lincoln University is now predominantly white) is, however, the oldest historically black college in the United States, chartered in 1854 as the Ashmun Institute and renamed in honor of President Abraham Lincoln in 1866 (the year Lincoln University of Missouri was chartered). Thank you so much for everything this week. 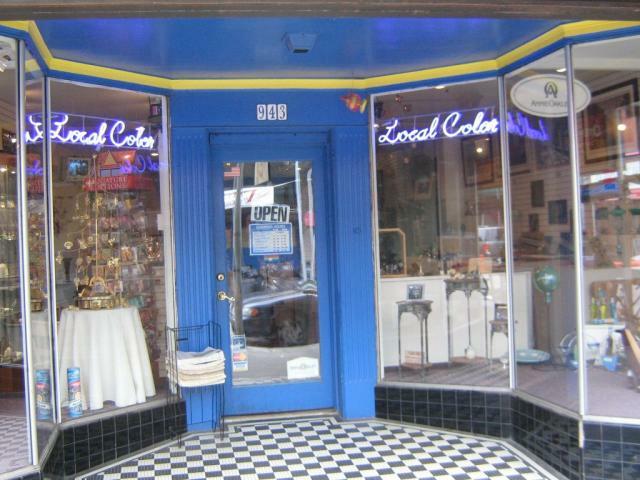 We adore Philadelphia, but we've mostly stayed near the Friends School area (pho! 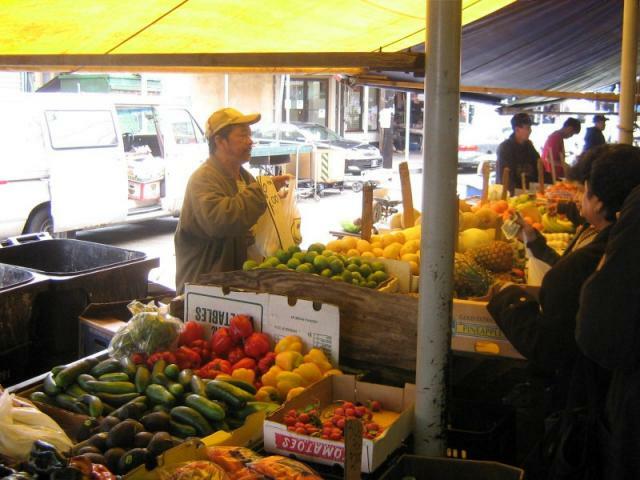 a huge Asian market!) and the RTM 'til now. Certainly not Friends' Central -- that's in Wynnewood. I can't think of any Friends schools near Washington Avenue, and Friends Select is the closest one to Chinatown--unless there are Asian markets in Center City's northwest quadrant that I don't know about. Remember, this is Quaker country, and you've got lots of Friends in Pennsylvania. Thanks, Sandy, for a great blog. From your fridge to the shops & streets and back again to your kitchen, it was all good. 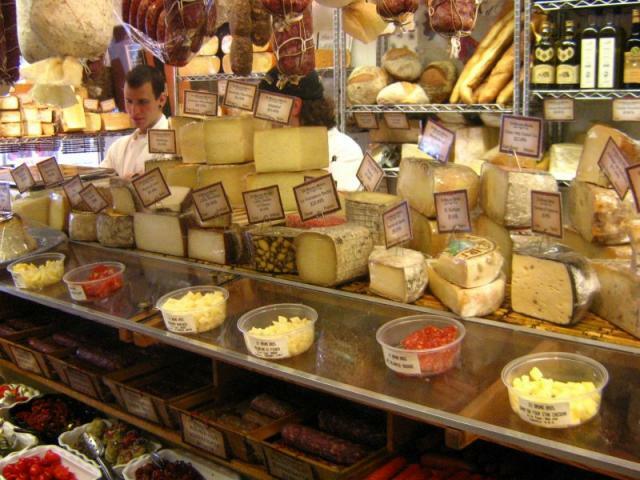 Especially the cheese. 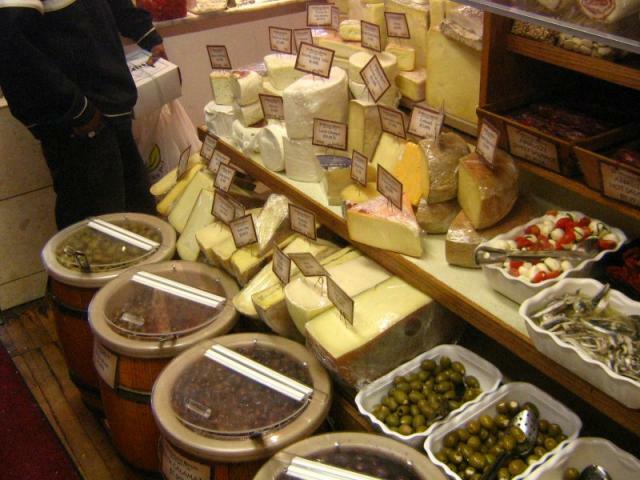 All those lovely cheeses.. sigh. Ah, inane of me, yes? Friends-Select it is. We head there for her camp meetings and then we veer, um, West, a number of streets, and a little South, I think. Or, it could be the opposite. There is an L shaped strip center with a really big Asian market and a couple of noodle places. There also seem to be lot of people having their social nights there. Further are a bunch of streets with names of trees, some of the kids live there, so I play uber mommy and squire them around with us. We usually find great little places to eat (if we don't eat at RTM) but once we were talked into a place called Maggiano's or something similar, it seemed like a family style Macaroni Grill. I think it's called Center City in parts, but I'm never sure. I can find my way around anywhere, but I'm a fuzzy thinker, to the nth degree. Street numbers? Ha! I laugh in the face of such attempts at organization! Ah, inane of me, yes? Friends-Select it is. We head there for her camp meetings and then we veer, um, West, a number of streets, and a little South, I think. Or, it could be the opposite. There is an L shaped strip center with a really big Asian market and a couple of noodle places. There also seem to be lot of people having their social nights there. Relative to Friends Select, the directions you give would take you to Center City's southwest quadrant. The only Asian supermarket I know of in that direction is around 18th Street and Washington Avenue, and there's almost nothing besides the supermarket at that location. Heading a few streets East and a little South would (a) probably take you right past the RTM and (b) eventually deposit you at 12th or 11th and Washington, if you traveled far enough South. In the 1100 block of Washington there is an L-shaped strip mall with a huge supermarket (Hung Vuong) and one really big noodle place (Pho 75, mentioned in passing above), along with another noodle place (Pho & Cafe Viet Huong), a full-menu Vietnamese restaurant (Nam Phuong) and a new Chinese seafood house whose name I forget right now in a satellite building at the 11th Street corner. Note to self: Update your damn Web site already! 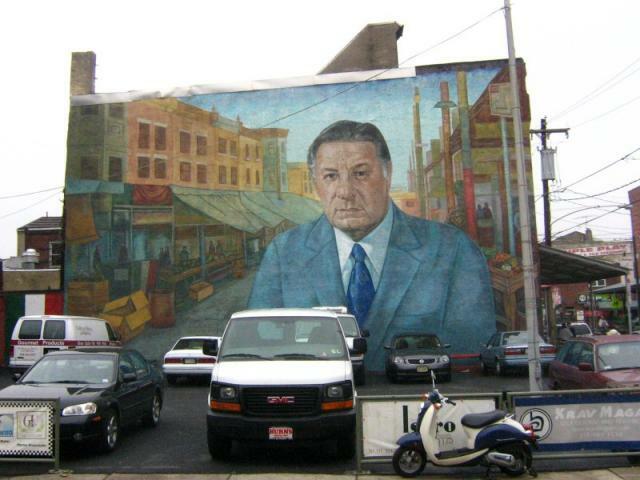 You wrote about the transformation of Washington Avenue in a Philadelphia Inquirer Metro Commentary page essay in November 2004, and you still have a link to the no-longer-extant Philly.com page on your site. You need to put up your own versions of the edited copy you got from Pennsylvania Commentary editor Janet McMillan so people can read these for free. Further are a bunch of streets with names of trees, some of the kids live there, so I play uber mommy and squire them around with us. We usually find great little places to eat (if we don't eat at RTM) but once we were talked into a place called Maggiano's or something similar, it seemed like a family style Macaroni Grill. I think it's called Center City in parts, but I'm never sure. I can find my way around anywhere, but I'm a fuzzy thinker, to the nth degree. Street numbers? Ha! I laugh in the face of such attempts at organization! Okay, so you're one of those people who mystify me in my side note about Philadelphia street signs. That's okay; you're forgiven. The tree streets are all in Center City: Chestnut, Walnut, Locust, Spruce, Pine, from north to south. (There used to be two more north of Market: Mulberry was renamed Arch, and Sassafras became Race.) South of Pine, the streets have random names, the significance of which I would have to turn to my copy of "Mermaids, Monasteries, Cherokees and Custer: A History of Philadelphia Street Names" to discover; then once you get past Federal Street (two blocks south of Washington Avenue) the streets are named for Pennsylvania governors. I'll lay odds, though, that the pho place you remember is Pho 75 and the supermarket Hung Vuong. Sandy, I just wanted to say how great it was to finally meet you yesterday! I bow down before your energy and enthusiasm (as I lob an unsolicited 2 cents at you to lobby for future photos of the Wash Ave. Asian strip malls, the Ritner St. bounty, Nick's Roast Beef, and probably everything else on hollyeats.com!). And because of the pizza and water ice on the brain yesterday, I'll mention here that everyone needs to hit the new-ish El Jarocho at 13th & Ellsworth (4 overly tempting blocks from my house). It's owned by the La Veracruzana family, tacos are fantastic (I can't seem to order anything else when I'm there), and... THEY DELIVER. Ha, all that research paid off. I'm honored to have tied. In researching that final question, somewhere I came across a long passage from Benjamin Franklin about how he improved Philly's public markets - they were just designated areas and essentially mudpits when he came on the scene. He kept pressure on the city to pave the market areas with cobblestones, and then pave the streets around them, until they became decent areas to shop. I fleetingly wondered if this had anything to do with those wide streets but didn't have time to follow that thought. So it goes. I've learned a lot this week about one of my favorite cities, both from this blog and from surfing into many unexpected places to find answers for the trivia contest - that was a great idea! 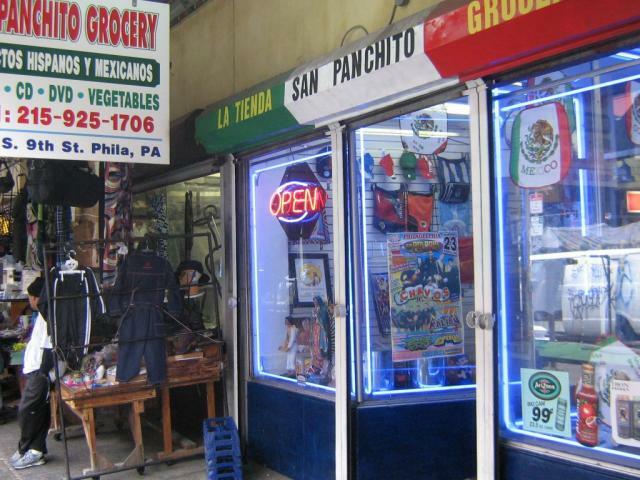 I even came across a development plan for West Philly that ties in very nicely with Sandy's coverage of the Fresh Grocer. I also learned that the "tree streets" were named in order of increasing hardness of the wood, presumably as a memory aid to early Philadelphians. This has been so much fun. I gotta hop a train to Philly soon again. Thanks Sandy. Folks, much to the chagrin of Philadelphia Convention & Visitors Bureau and the disappointment of our members, today is Sandy's last day of foodblogging. Please do make your final posts to the thread no later than midnight EDT!